T-Mobile to sell BlackBerry again | BlackBerry Blast! T-Mobile and BlackBerry had a bit of a falling out last year, but it looks like the two companies have repaired their strained relationship. T-Mobile stopped selling BlackBerry last year but the company will reverse course and sell the BlackBerry Classic starting next week. T-Mobile customers can pick up the BlackBerry classic for $40, or $18 per month over two years. That's not a bad deal if you love the BlackBerry keyboard. Although Apple has convinced the world that touchscreen devices are much better, a lot of people still like having a physical keyboard. 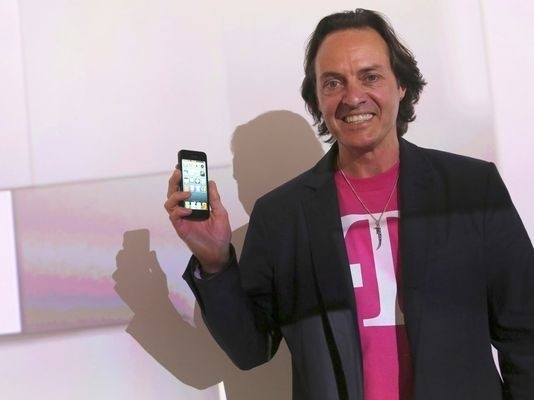 T-Mobile's CEO John Legend has said BlackBerry represented 1% of T-Mobiles customers. I guess 1% is 1% and T-Mobile is back in the BlackBerry game. It's a win for customers!